Hempstead Town’s snow salting and plowing crews are poised to respond as this year’s first major snowstorm approaches our area. A projected major winter blizzard has prompted Hempstead Town Supervisor Anthony J. Santino to announce a State of Emergency effective 11 p.m. on Friday evening, January 22nd. The town will be cancelling all Parks Department and ANCHOR programs and registrations starting tomorrow, Saturday, January 23rd through Sunday, January 24th. Additionally, town Civil Service exams scheduled for Saturday, January 23rd are cancelled and will be rescheduled. A Monday, January 25th meeting of the Town Village Aircraft Safety & Noise Abatement Committee (TVASNAC) has been cancelled. Further, Hempstead Town’s Department of Senior Enrichment programs and transportation will be cancelled for Monday, January 25th. The town is requesting that homeowners remove cars from roadways so that town snow removal crews can effectively and efficiently salt and plow streets. TheSupervisor cautioned residents to limit exposure to the elements as temperatures drop. Frigid temperatures and high windsareforecasted to accompanythe storm. Santino also advised motorists that high winds may create “white out” conditions, which can severely limit visibility. Further, the town reminds residents to place shoveled or blown snow from sidewalks and driveways onto their property, not into local streets. Due to weather forecasts of severe thunderstorms and high winds, the Town of Hempstead’s Salute to Veterans, Independence Day Concert and Fireworks Show planned for tomorrow, Saturday, June 27th, has been rescheduled for Sunday, June 28th at 7:30 p.m. at Town Park Point Lookout on Lido Boulevard. This and next weekend you can help out. 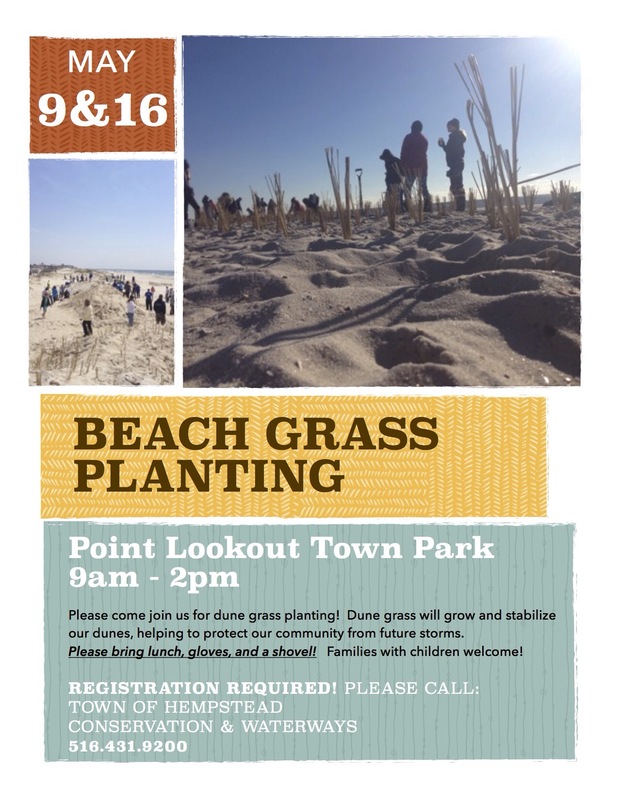 Hempstead Town Supervisor Kate Murray, Senior Councilman Anthony J. Santino, Councilwoman Erin King Sweeney and Councilman Bruce Blakeman announced that the town is seeking groups, clubs and organizations to volunteer planting beach grass at Point Lookout Town Park on May 9th and May 16th from 9 a.m. to 2 p.m. The planting of beach grass preserves the important sand dunes that protect our shoreline communities and beaches. The dunes are the last line of defense between the surging waters of the Atlantic and area homes and businesses located on the barrier island. Since Sandy hit our area, dedicated volunteers have planted American beach grass plants (also known as ammophila breviligulata) at the dunes throughout the barrier island communities including Point Lookout, Lido Beach and East Atlantic Beach. 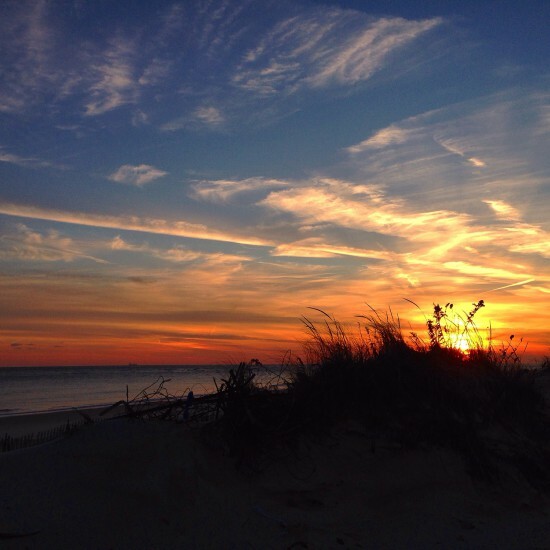 “The dunes provide a protective barrier for our beautiful beachside communities, and we seek volunteers to help us preserve them for the future,” King Sweeney said. 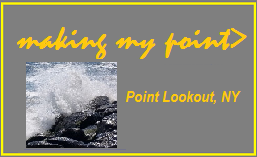 “Planting beach grass helps us in our efforts to safeguard our coastline,” Blakeman added. Beyond combating erosion, the shoreline vegetation can actually help dunes grow in size by trapping sand in its elongated flowering spikes. As sand builds up around the new grass, stems grow higher, and newly sand-covered stems become part of the root structure. Hempstead Town has built up dunes in Lido Beach, Point Lookout and East Atlantic Beach over several decades, and constant upkeep and repairs have been executed by the town’s Conservation and Waterways Department. Unfortunately, Sandy’s floodwaters severely damaged the dune network. At the same time, town dune structures spared local residents from even more severe devastation than would have occurred in the absence of the protective barriers. Participants are asked to bring gloves and a shovel. Groups wishing to volunteer should contact the town’s Department of Conservation and Waterways at (516) 431-9200. Hempstead Town’s snow salting and plowing crews are responding as this year’s first major snowstorm bears down on our area. A forecasted major winter blizzard has prompted Hempstead Town Supervisor Kate Murray to announce a state of emergency. The town will be cancelling all Parks Department programs and registration starting today, Monday, January 26th at 1 p.m. through and including Wednesday, January 28th.The Department of Senior Enrichment is also cancelling programs as of 1 p.m. today through and including Wednesday, January 28th. Additionally, the Town Board meeting, an India Republic Day Ceremony (at Town Hall) and a Taxpayer Forum (at the Baldwin Public Library) slated for tomorrow, have been cancelled. Again, the town is requesting that homeowners remove cars from roadways so that town snow removal crews can effectively and efficiently salt and plow streets. Finally, Supervisor Murray cautioned residents to limit exposure to the elements as temperatures drop. Frigid temperatures and high winds are forecasted to accompany the storm. Murray also advised motorists that high winds may create “white out” conditions, which can severely limit visibility. We welcome our new council members. Thanks to Angie Cullen for your years of valued service. 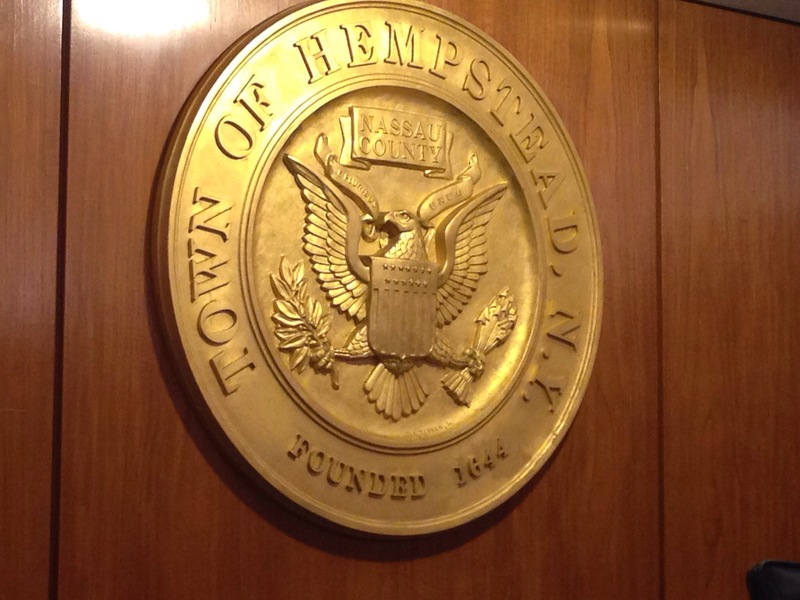 The Hempstead Town Board has moved to fill two vacancies, appointing Erin King Sweeney as Councilwoman in the 5th District and Bruce Blakeman to the 3rd District’s Councilmanic seat. Sweeney will be replacing Councilwoman Angie Cullin, who has retired from her post after serving as an elected town official for 28 years. Blakeman will assume the Town Board seat formerly held by Councilman James Darcy, who has been appointed to the bench in Nassau County’s District Court. The new members were welcomed to the Hempstead Town Board by Supervisor Kate Murray and Senior Councilman Anthony Santino as well as other Town Board colleagues. King Sweeney, an attorney who lives in Wantagh, has a background in transportation consulting, corporate affairs and involvement in local/community organizations. A graduate of the University of Notre Dame and University of Notre Dame Law School, King Sweeney is a Board Member of the Wantagh Seaford Homeowner’s Association. The newly appointed Councilwoman has also been actively involved with the American Heart Association and is a Board Member of Holy Child Academy. Bruce Blakeman is marking a homecoming as Councilman, having formerly served on the Hempstead Town Board from 1993 through 1995. The Atlantic Beach resident has a vast record of government service, along with experience in the fields of health care, academia, business and finance. A graduate of California Western Law School and Arizona State University, Blakeman has served as Commissioner of the Port Authority of New York and New Jersey, a Senior Fellow of Long Island University’s Homeland Security Department and a practicing attorney. Blakeman’s community roots run deep as the Chairman of Hewlett House (a breast cancer learning resource center) and as Vice President of the American Jewish Congress. close enough, see you there.